/ Modified dec 14, 2016 10:48 a.m. The Grand Canyon in northern Arizona. 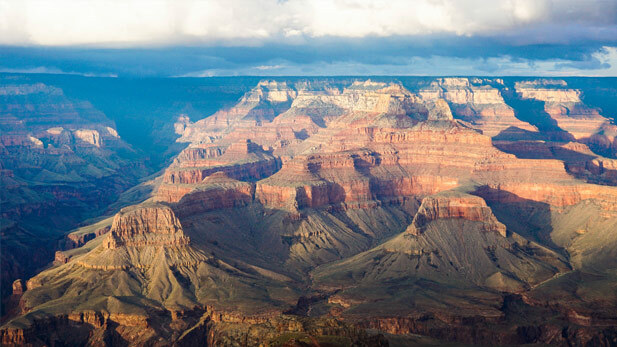 The Ninth Circuit Court of Appeals will hear oral arguments Thursday on two cases that involve uranium mining on public lands near Grand Canyon National Park. In the first case, the Havasupai Tribe has teamed up with environmentalists to challenge the Forest Service’s decision to allow a mining company, Energy Fuels Resources, to reopen the Canyon Mine six miles south of the Grand Canyon National Park boundary. It was approved for mining in the 1980s. Since so many years have passed, conservation groups have said, the agency needs to analyze the mine’s environmental and cultural impacts before allowing the company to operate. The Havasupai, who consider the area to be sacred, want the Forest Service to consult with them. In the second case, the National Mining Association is challenging the federal government’s 20-year ban on new mining claims on land surrounding the park. Former Interior Secretary Ken Salazar issued the moratorium in 2012 to protect groundwater and sacred sites and better assess the impacts of uranium mining.